This is the website for the tutorial book FullStack Vue — the Complete Guide to Vue.js. 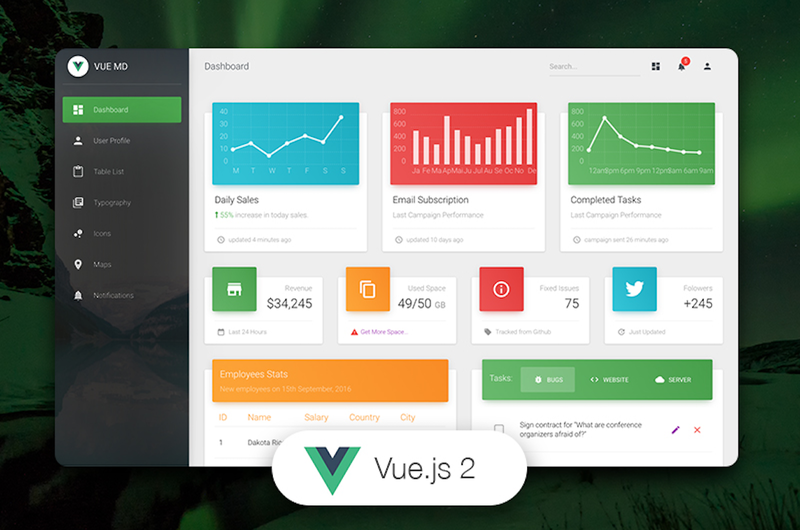 It aims to teach people everything there is to know about Vue so that anyone can start writing Vue apps fast and efficiently. Task.al is a free mobile and web app that helps you keep track of all your tasks. With a simple intuitive design, Task.al enables you to organize your life and never again forget about tasks. This is simple music discovery app. The beautiful website’s strong point is the easiness of use. By keeping everything simple, it became very easy to understand. It doesn’t have many features, but does it really need more? Octoplus Group is an integrated communication agency that aims to help its clients and their success grow. For their homepage, they took the concept of Every story starts with a letter quite literally. But in a good way, obviously. And that pretty much seems to be how this website got its shape. This website is obviously a tribute to the vaporwave movement. I secretly enjoy this current both in music and in aesthetics so I actually quite like this one. It might look a bit old school, but the 80s’ is what inspires it, so why not combine it with our tech too. This one you probably already know and have used at some point. If not, maybe you should give it a shot. I for one don’t know what I would have done without it. So from these people without whom many frontend devs’ lives would be harsher, comes to a cool, functional, user-friendly and built with a vue.js website. Coming up with a good, beautiful combination of colors is pretty hard. Losing it is even harder. I think I cried once or twice over lost color palettes. Well, no more I say! This a pretty neat idea and website that will help you store all of your color palettes in just one place. RottenSoup is a roguelike RPG with an interface built with vue.js. If you’re feeling nostalgic, this is the game for you. I, for one, really enjoyed playing it. Started by Jen Looper, Vue Vixens creates awesome Vue.js learning opportunities for anyone who identifies as a woman. By hosting workshops for under-represented people, Vue Vixens takes this experience to a whole new level. Thank you for existing. Know other awesome Vue.js projects? Leave us a link in the comments!